March 2006 - Paul leaves a promising and secure career with a famous multi-national brand and moves his lovely wife Lucy and their three very young children to the beautiful county of Cornwall, from where his family originates. The plan is to figure out the plan once they get there. August 2006 - Paul works alongside one of Cornwall’s leading seafood businesses, and is inspired to go into the fish business. The company name, Fish for Thought, is chosen! The plan is to be at the heart of all things that are increasingly important to people: healthy eating; where food comes from; convenience; and ethical and sustainable sourcing. May 2007 - The Portakabin is delivered to a car park in Roche; Paul builds 2 tables and 2 chairs (slowly and badly); Richard is persuaded to join the business, before we have even started; then Fish for Thought starts! We start out offering seafood to a number of Cornwall’s finest restaurants and hotels, initially along the south coast. Our enthusiasm knew no bounds, and we developed super-powers that enables us to grow quite quickly: spectacular naivety; and a willingness to work stupid hours without question. We are a perfectly formed Crew of 2! June 2007 - With much bravado and confidence, we somehow manage to be selected as a supplier to Wholefoods Market in London. We may not have admitted to being 4 weeks old at the time. September 2007 - Northern Rock and the entire UK banking industry collapses, sending the economy into a flat spin. We had nothing to do with this, or with the unfolding financial crisis, as we were too busy learning about fish! October 2007 - Having conquered the south coast (we had 10 customers), we turned our attention to the North Coast, starting off by approaching Chef Adam Clark at Bedruthan Steps Hotel (more about him later). Slowly but surely, we start to expand on the North Coast too. March 2008 - We start working with Martins Seafresh, the world’s first online seafood business, set up by Jeff and Barbara Martin. We supplied their fish and they supplied us with lobster and crab. October 2008 - Jeff and Barbara want to retire and we happily agreed to bring Martins Seafresh into the Fish for Thought fold. We were very excited to be supplying customers at home with Cornwall’s finest seafood. As part of the deal, we take on the lease for arguably the worst industrial unit in Cornwall. One customer, who tried to find us to whilst on holiday, described it as ‘like a unit in Baghdad’, which at the time was probably quite generous. Jan 2009 - With the help of a tech wizard called Simon Mees, we relaunch the dated original site with our first foray into the online world. It is a steep and continuous learning curve! Simon becomes our Virtual IT Director and a key member of the team – part techie genius / part surfer, he’s the perfect match. Feb 2009 - Paul hosts Dave & Si (aka The Hairy Bikers) at Newlyn Harbour. As well as a tour of the market, he takes them out on a local lobster boat, and cooks with them on the harbour edge. Paul is the ‘un-hairy’ one, without a bike. If you look back on the video, you can also see a cameo role from Chef Adam (same one) in charge of the BBQ. It is the first time Paul and Adam hit the screen together. September 2009 - Our Cornish Wholesale business continues to grow through word of mouth. As we move into Autumn, we realise (perhaps a bit slow to catch on) that Cornwall remains very seasonal and we need to look further afield to support our business year-round. Jan 2010 - We begin our quest to supply Cornwall’s finest seafood directly into London’s finest Hotels and Restaurants. Turns out lots of them love our seafood almost as much as we do! August 2010 - Paul is invited to be a judge on BBC 3’s Young Fishmonger of the Year. Despite the fact that he is up there with the very worst filleters in the business (he would say ‘you can’t be good at everything’), he manages admirably and the classic lines ‘basic, basic knowledge’ and ‘he just had to stick it on the slab, it’s doing no bloody good left there’ will be remembered forever. April 2011 - We start our very own Crab Picking Operation. August 2011 - Our first apprentice Fishmonger, Lee Trethewy, wins Cornish Fishmonger of the Year! Richard is adamant that he taught him everything that he knew and claims part of the spoils. achieved. Perhaps we didn’t do much new stuff for a bit! children from all over the UK. We believe every child has the right to make positive childhood memories. A CHICKS break inspires new confidence and gives children the chance to have fun, enjoy new experiences and relax. More than anything, it gives them the chance to just be children. We decide that they do such amazing work that we commit to supporting them as one of our chosen charities!  June 2014 - Meet up with Gina Moore from Fisherman’s Mission. They provide real practical support to fishermen and their families in times of need. We decide this is a great cause and commit to supporting them.  August 2014 - We meet the great team at The Lobster Hatchery and love the work that they do! We start supporting them through their amazing ‘Buy One Set One Free’ scheme. November 2014 - Launch the Fish for Thought Seafood Kitchen, and we start to produce a small range of handmade seafood products. Our first product is Cornish Lobster Bisque…The Bisque of Bodmin is Launched – only available through our Online Shop! February 2015 - Following on from the success of the Lobster Bisque, our now famous Cornish Lobster, Mac & Cheese is launched. March 2015 - We have a leading role in the brand new adaptation of Poldark! When I say we, I mean our sardines – and very good they were too. Frustrated about being overshadowed by some small oily fish, our leader seriously considers launching a rival show – Pauldark! September 2015 - Paul and his brother Chris embark on LEJOG (Land's End to John O'Groats) Cycle Challenge. 1000 miles over 9 days, covering the full length of Britain. It is one of the hardest, most challenging and rewarding things he has done. Thanks to the generosity of lots of our wonderful customers, Paul raises almost £5,000 for Children's Hospice South West & CHICKS! Afterwards, it was a full 6 months before he got back on his bike! October 2015 After 6 years of discussion, we finally persuade Chef Adam (yep, the one from Bedruthan Steps we mentioned earlier) to join our fledgeling kitchen. Christmas 2015 - Chef Adam launches our first ‘Seafood Kitchen Christmas Range’, including Salmon en Croute, Lobster Cakes and Lobster thermidor. Due to popular demand, a number of these early products are still offered seasonally. January 2016 - We start to get serious about social, or at least serious about getting serious about social. Fish for thought TV is launched, aiming to make cooking fish and shellfish easy. Chef Adam and Paul quickly become the Ant & Dec of cookery TV, or possible Hanny & Johnnie – you decide! April 2016 - Paul attends a Shoreline Survey with Matt Slater from the Cornwall Good Seafood & Cornwall Wildlife Trust in Polridmouth. Inspired by Matts passion and commitment we become supporters if The Cornwall Good Seafood Guide! June 2016 - After 5 years of trying really hard, and with a heavy heart, we decided to stop picking crab meat. We realised we couldn’t be good at everything, and when we were honest with ourselves we realised we were not very good at picking crab. We quickly found suppliers who only cooked and picked crab…….who are very good at it! July 2016 - Awarded SALSA Accreditation – all part of our growing up journey. September 2016 - Proud to be involved in the UK’s first Supermarket Siesta – encouraging everyone to take a month off buying from supermarkets and support local shops and specialist online retailers instead! We also cheekily launched a trial with the world’s first Speciality Seafood Recipe Box at HelloFresh HQ in London – I don’t think they noticed! November 2016 - The Blue Ride bows out after 10 years of dedicated service! RIP Blue Ride! December 2016 - Paul is approached by Food Unwrapped, to help them understand the difference between native Cornish Lobsters and imported frozen North American lobsters. We thought the best way to show them was to take them to sea with one of our favourite lobster fishermen, Julian Brown of the Helen Clare in Port Isaac. Kiran Jethwa joined us off the North Cornish Coast to see first-hand why native Cornish lobsters come at a premium. We are proud that we never have, and never will, sell inferior imported products. Christmas 2016 - Chef Adam launches our second Christmas Range, which is enjoyed by many, as a healthy and delicious alternative during the Festive Period. March 2017 - Proud to be involved in WastEd London on the top of Selfridges. May 2017 - Happy Birthday to Us – We Are 10 Years Old! June 2017 - We are delighted to be selected as Fish Supplier to our favourite Organic vegbox company, Riverford Organics! recyclable packaging – moving away from polyboxes for all of our online deliveries. December 2017 - Highly Commended (yes, ok that does mean we came second) at the Cornwall Sustainability Awards. It was for ‘Best Contribution to a Sustainable Food Economy’, something that is at the heart of everything we do. A proud moment for the small group that represented us on the night, although there was nothing sustainable about the volume of red wine a certain member of the team consumed! February 2018 - We gain MSC Accreditation to support our commitment to sustainable and ethical sourcing.